Larry Bird respects Kevin McHale too much to hire him as Pacers coach. After Pacers team president Larry Bird made the controversial decision regarding not to renew the contract of his head coach Frank Vogel. People were projecting about him on bringing his former Boston Celtics teammate Kevin McHale for the position. SO if you are among those who are wondering about the position turning to Kevin McHale, then it is the time you wake up from your dream because it is highly unlikely to happen. Actually, according to Larry Bird, he respects Kevin McHale too much to hire him as Pacers coach. SO it is not going to happen. So it is vivid now, Bird ‘would love for him to be his coach,’ but he respects McHale ‘too much’ to put him in that position. Bird on Kevin McHale: "I would love for him to be my coach but it’s not going to happen because of our relationship." The two are really good companions. 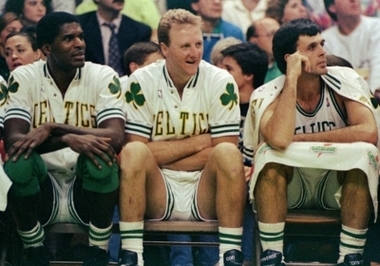 Here is a video of Kevin McHale telling his favorite Larry Bird story on Inside the NBA.